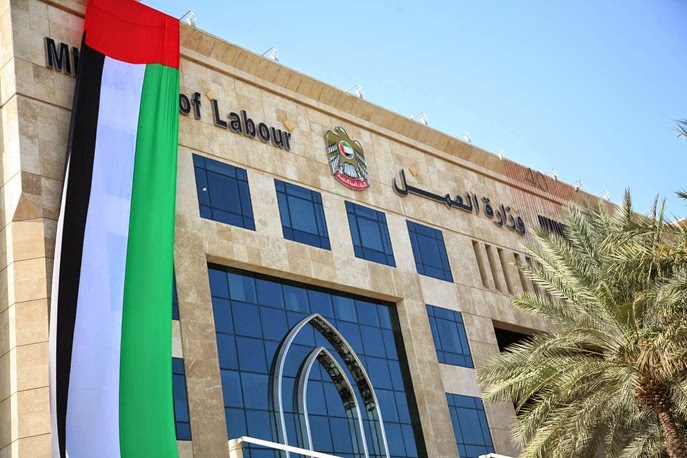 This article is provide information regarding labour ban for a UAE work visa holder who had completed two years or more than two years with the current organisation and planning to resign and join another employer. The following questions will be answered in this article. Will there be any employment ban? Air ticket provision from the current organisation? Whom should you contact if the current employer refuses to cancel the visa? As per the new information, currently the Ministry of Labour does not impose employment ban on the employee if the employee has completed one year of continuous work with its current employer. Since anyone who have completed continuous job for over one year with your current employer will not get any employment ban. This is applicable in case if you wish to resign from your current employment. In this case, the worker is resigning from the job and so in accordance with Article 131 of the UAE Federal Law No. 8 of 1980 the employee shall bear the cost of air travel to their home country. However, if the labour contract between the employer and the employee states that the employer to pay such cost, then the cost of return ticket for the employee to his/her home country shall be borne by the company. Article 117 of UAE Federal Law No. 8 of 1980 states a notice period of 30 days is to be given, by either the employer or the employee depending on which party need to terminate the contract. In this case the employee must serve the 30 days notice period. The worker may approach the Ministry of Labour in case the employer refuses to cancel your visa. Article 117 - Does the law apply to both limited and unlimited contract re: "currently the Ministry of Labour does not impose employment ban on the employee if the employee has completed one year of continuous work with its current employer. Since anyone who have completed continuous job for over one year with your current employer will not get any employment ban." Article 117 of the uae labour law is applied to contracts with unlimited period only. If you have a limited labour contract the imposing of labour ban is at the discretion of your employer. i am currently employed as a waiter in a chinese restaurant here in dubai, stated to my passport that my visa is valid for 2 years, but since the time i joined the company up to present, i haven't signed any written contract. would it be consider as limited contract? can i resign any time since i didn't sign any contract. or am i entitled for employment ban as well? Since your profession is stated as waiter in your residence stamping then you will definitely have a work permit card. You will not get a work permit card without signing a labour contract. You may have signed this when you joined in the restaurant before the stamping of residence visa. Hi Sir! I'm working since July 2012 in a private company. I am hired as an Administrator for a Restaurant and was promised to receive the same benefits with the other staff/waitress/waiters (such as free meal (written in my contract), uniform and tips (not written). But on my visa my job is waitress. At first they say, there will be no problem with that. My situation now is complicated since I am not only working for the said restaurant but also to other company that my boss owns. And also every month I am paying DEWA bill even though it stated in the contract that accomodation is shouldered by the employer. (There has been an issue before with the DEWA, because they deduct it straight from our monthly salary, but since one staff file complaint it at MOL, they reimbursed what we paid but as of this moment we're still paying it by cash)Now, I want to ask if I can resigned? Will there be a ban for me? My contract is unlimited. Will there be a payment if I resigned? My offer letter states that I have 2 year contract with them but in my contract here in MOL there is no date of end contract since it is unlimited? I hope you can response in my inquiry. Thank you. even if you change your passport, if you undergone for eye scanning they will still see your previous record. I am expecting a role and salary which is better than the current one however, it might take a little long for confirmation with Ramadan around the corner. I suggest you better look for other opportunities because as you have mentioned that they haven't provided you any legal papers etc. Secondly, it's actually case to case basis. Let me know further your status visa. For futher queries or clarifications, you may consult the labor office which is located near the Jafliya metro station. They are the best person to speak about your employment status, visa problems etc. I worked for for more than 2 years in a private company and now I submitted my resignation letter. I now have an offer for a government job. My question is that whether I may get six month ban upon the cancellation of visa by the company and will it effect in joining my new work for the government department. Please advise in this regard. I have concerns regarding contract issues. My employer issued me a employment visa at Sept 2 , 2013 and I'm wondering why until now he's not yet providing me a written contract to sign on. I'm not sure if I'm on limited or unlimited contract. All I can remember that I done were having medical exam and doing biometric scanning for emirates I.D. What will I do about this. I want to know my rights as an employee. The employment contract need to be signed before stamping the visa. It is a requirement as per the UAE labour law. so i cant work with my profession in any other company if they remove me before completing 2 years. I as per my information it is against the labour law in UAE. You can contact with Ministry of Labour and confirm the same. Call centre number is 800 665. I am on visit and I got an offer in Dubai . I have signed a contract (6-7 pages ,in English) and I have submitted passport copy for visa processing. They had told me it will take 2 week to get visa,but now it is more than 1 month and it goes uncertain. Now I have another new offer from another co .Pls advise me what I have to do to go for the new offer. If the other company has already applied for a work visa then the new company will not be able to process your visa. Check with the old company and if they haven't already applied for visa then cancel the contract and accept the new offer. I have got today my employment e-visa of Dubai but, there is not mention about the tenure of the visa,,, Can anyone tell me the time period of an employment visa...?? And also explain me about a simple visa and an electronic visa differences ? I got a agreement from a company and I signed it and mail it but still i did not get any visa or any papers regarding the visa.If i ask them to stop the visa process can they put a labour ban on me. I was working in my company for almost 10 months now. My Labour Contract haven't come to the office as well as Labour Card but it appears on MOL online website. My next problem is until now my residence visa was not stamped to my Passport due to some Issues and problems Occur within the range of 10 months. Can Someone Advise me what will happen to me. Or is the necessary thing I need to do? What is notice period required if one is resigning from a limited contract? employee needs to pay salary or visa charges? I came here in UAE on Tourist visa and get a Job and after arrival on Employment visa i did not sign the contract letter and company cancel my visa on 6-oct-2013. Now i came again in UAE on Tourist visa and got a Job offer but i did not tell them about my last resignation. Can i face the labor Ban? Note: Visa was not stamped on my passport when i get the first job. Please Suggest what to do now if i have a 6 Month ban. I am Graduate Electrical Engineer having documents attested from UAE Embassy of my home country. I am currently working for a restaurant on a limited contract of 2 years with a salary of Aed 2500, my labor card expires on 27th February 2014 and my visa on 21st March 2014. The Current company i work for is pleased with my work and wants me to extend my contract with them. But i am not happy in this company and i am getting a better job offer in another restaurant which pays Aed 5000 basic salary and many allowances they will also provide for my visa once my cancellation documents are given to them by me, the responsibility is more of course, but i am willing to take it. after i told my employers about this situation they were angry with me and have threatened to impose a ban on me if i join the other restaurant claiming that there is a general "Non Compete Clause" in UAE even if it was not mentioned in my labor contract. My question is can my employer ban me even if i have completed my contract with him? what can i do to avoid this ban as i am the only earning member of my family and have a lot of responsibilities on my head. Also can you please guide me on how to proceed to not disappoint the new company and get visa from them on time? i have given them a joining date of 22nd March 2014. what can i do? Please help! I am working in a Garment LLC with dubai visa.my visa will expired on 04/04/2014. If I will resign before that day I will have a ban or not? And my company is dedicated 50.00AED from every month of my salary for savings. Is that legal? And two month before tbey took our salary card (ATM) with our pin number.They show to ministry of labour to our salary and after that witdrow.becouse every month we are getting our presnt month salary after one month only? i cam to dubai on tourist visa. I was given a offer latter and i came to exit. the company send me the employee visa. but unfortunately i was not able to go as per the company therefore they cancelled my visa. As i was in inida visa was not stamped on my passport. My question is can i go again to duabi on tourist visa and look for the job. is there a ban on me as my visa was cancelled. hi, i have an emergency to go, and 2 weeks before i mailed my resign letter to my boss with a notice period of 1 week. but still now he didnt gave me cancellation. what should i do? As per my information normal notice period is 1 month as per UAE labour law and your sponsor has the right to cancel the visa only after the specified notice period in the contract. Try to have a good conversation with your boss to cancel the visa. My labour card will expire at march 28 2014 and onnmy passport is april 28 2014. It's possible to have six month ban? Is it in the labor law in uae that if the private employee has found guilty the ministry of labor has the right to terminate the private employee? im on an mission visa but another company has offered me a job and a residency visa will they be able to apply for a residency visa will im still on my mission even though the contract that has been made from the company that has given me a mission visa is finished! my father in law is working as maintenance technician he resigned before but the same company took him again.all is done. the company told him that he will pay the visa and the medical expenses. is this legal? There is a vocational training contract specified in UAE Labour Law as per Article 42. To be applicable for this you should have signed this contract. Check your contract to see for the kind of employment you have entered with your company. If you are under a training contract then you should get enough time for the training and education and must be employed by the company for a minimum period of twice times specified in the agreement. Check with the labour department for clarifications. hello. im working with company of concrete and projects since one month, with unlimited contract and 6 month probation period, but I wont to change job, so my question is if I resign after two month of work I well get a ban or something ???? Can I get a copy of cancelation of visa in ministry of labour? In case my previous company can't give it to me in time? Bcoz I need it urgent in my new company. Help me pls..
hi im working in Dubai and when I go home to my country I did not come back to Dubai...I did not finish my contract....do I have a ban? Hi, I am working for a restaurant as waiter past 1year 6 months. I would like know if I gave resignation there will be 6 months ban on my visa. You will get a labour ban since you haven't completed two years in job. I have been working in a company in abu dhabi for the past 5 years and just has my visa renewed. If I want to transfer to another company for how long should I have to wait before I could resign. I asked about this due to the fact that my visa had just been renewed. (March 2014) What article or section in the labour law is this stated. You can resign from the job giving one month notice period to your company. Article 113 to Article 131 of UAE Labour Law states this in detail. My friend work at his company since 2009 to present and now he want to quit as he got a good offer with other company he doesnt have any degree and the offer is double his salary,but as stated on his contract with this company that he cant work for six months on the same field of job once he resigns. Does he still get the labor ban?Even though he completed almost 5 years in service.Is there will be a possible way to lift his labor ban? There will be no labour ban since your friends has competed more than two years in the job. There is no clause like that you cannot work in the same field. i have a limited contract and this is my first time to work here in abu dhabi. i just want to know if i will resign after 1year in my company, what will happen? should i pay back and have a ban?because my family wants me to get back to my country to study again . Hi sir right now I work for a company which is not afree zone for 2months now,, but I get an offer from agree zone company and already submitted my passport copy to process. But my Question is will I meet aban? Hi I m working in a company since 9th march , my visa is still not yet stamped on my passport , HR dept. Says that they hve to get signed some papers by owener for stamping and he is travelling other countries so its taking time, I want to know that as already 2 months have passed is my visa is still valid , is there any validity period of stamping? I hve got my Labour card, n have submitted my application for emirates id n medical is done already , please guide me what might be the possible consequences? Hi sir i had worked for four months in a coametics brand in Dubai. They cancelled my employment visa last january 2014 due to i got problem with my medical for some health reason. So i went back to my country last January but before that my employer said that i can go back anytime soon to Dubai. After 1month my husband tried to apply me Visit visa, but my application was rejected because it appears that i was issued a Lifetime ban by the Labour. We called the immigration what we will do so i can enter again Dubai? And the Immigration said that there is still a possible that i can enter Dubai just i need a medical certificate that will certify that i am physically fit to work and free from any illnesses, i already have all there needed authenticated by the UAE Embassy already. I just want to ask what would be my next step? I really want to go back to Dubai and get my job back. Because my employer said that i am always welcome in their company once i ge back to dubai.the problem is i cannot apply Visit visa by my husband there because of my ban. hi! is there a difference between terminated and resigned? in terms of the money they can get from the company? Is terminated can get higher amount than resigned one? hi, my friend has labour category visa, it issued jan 2013 and will be expired in jan 2015. he want to quit his job. he want to leave his company but not in presently. he wants to go back his country without cancelling visa. in regards to air ticket provision: as stated to my contract my current employer will pay for my ticket after completion of 2years and every year thereafter.. since my visa will expire on Feb. 10, 2015 and my labor card on Dec. 21 of this year to be exact on my 2nd year... what will happen to the agreed air ticket just incase i do not want to renew my labor card, my visa, and i do not want to extend my contract to them as well because i am now finding for a new company? what do i need to tell them for my rights as for my completed 2 years of working with them? Hi. Im working as a nanny for almost months but until now i didn't sign any contract. But i want to go home. Can i go back to the philippines? What i should do? Do i need to pay to my employer? Please help me. Hi i am in unlimited contract.Recently got terminated but my visa was not cancelled since i have to come to my home country on a emergency.I have served my notice period but the settlement is not made by my company.Now my question is that will i have to go there for cancellation or the cancellation can be done through online.Please help. There is an option to cancel the visa by your employer. I suggest you to comeback and settle everything with your employer and cancel the visa to ensure that you can later comeback to UAE safely. i am working in Local private company but the owner provide for me private visa and now i am facing salary delay problem and i did not complete my two years contract, please advise what can i do..?